We have 21 double passes to give away to see the Imperial Russian Ballet Company perform “A Russian Triple Bill”, touring Victoria, New South Wales, Queensland and Tasmania, in September and October! You read correctly! 21 double passes! Following on from their outstanding performances of "A Festival of Russian Ballet", the Imperial Russian Ballet Company return to Australia with “A Russian Triple Bill”. This stunning programme performed in three awe-inspiring acts is proudly presented by Russian Ballet Ltd.
“A Russian Triple Bill” will be presented for the first time to Australian audiences. This impressive and diverse programme consists of the fairy tale spectacular of Princess Aurora’s wedding from Sleeping Beauty in Act 1, the Romantic Les Sylphides in Act 2 and the electrifying Carmen in Act 3. A Russian Triple bill is touring to Frankston, Melbourne, Albany, Geeling, Launceston, Hobart, Wollongong, Sydney, Newcastle, Gold Coast, Brisbane, Bundaberg, Caloudra, Ispwich, Maryborough, Toowoomba, Port Macquarie and Dubbo. 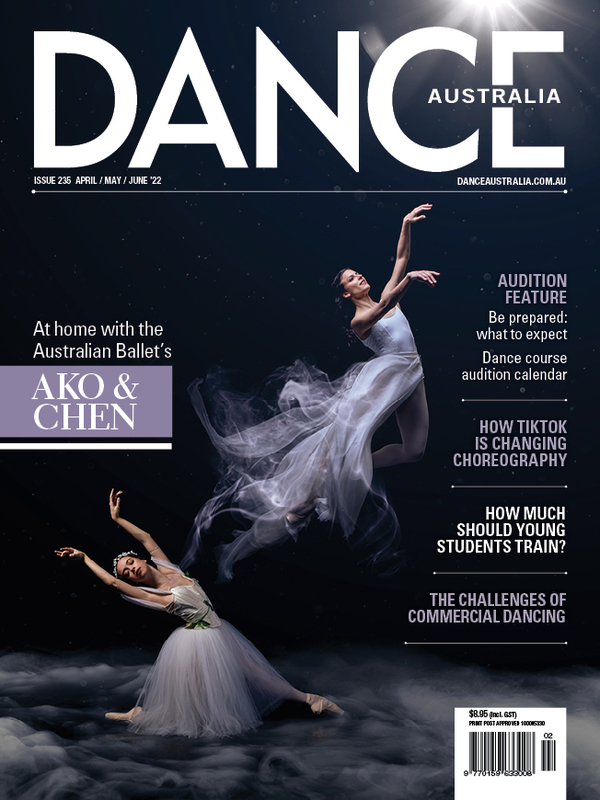 For details of dates and venues head to https://russianballet.com.au/book-tickets/. To be in the running to win one of three double passes to see “A Russian Triple Bill” at the venue of your choice, simply email competition@danceaustralia.com.au with “Russian Triple Bill comp” in the subject line. Make sure you tell us in which city/town you wish to see the show and please include your name, address and phone number. Please note that tickets are for opening night in each town.